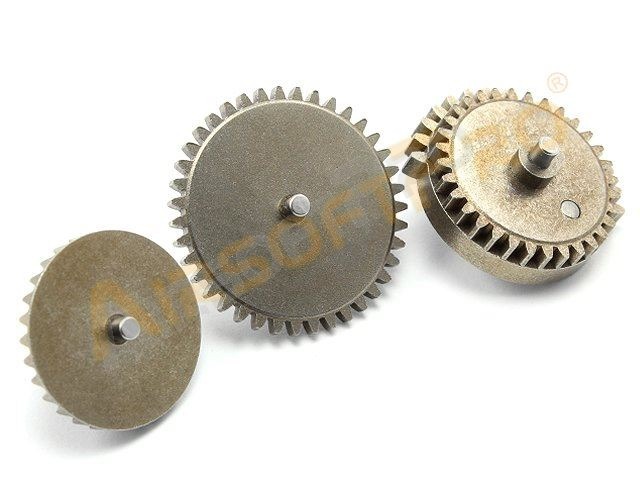 The basic gears, which are used in most airsoft guns. Classic gear ratio (18:1). Made of a metal alloy. 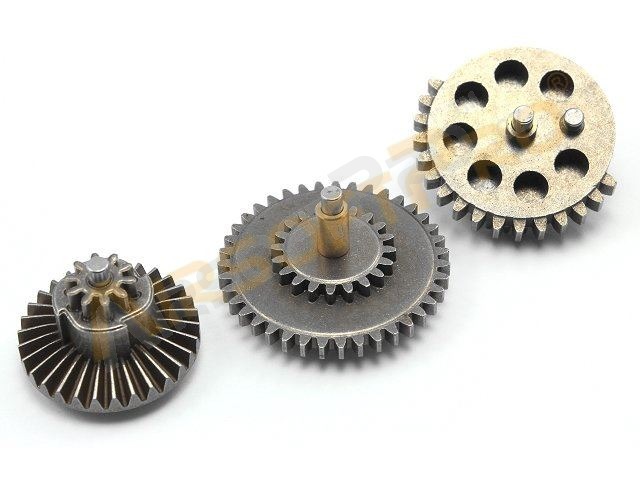 Suitable as a cheap replacement for your damaged gears. Suitable up to M120 springs.